The Pets Own range of milks are all lactose free. All dogs and cats love the taste of milk however cannot tolerate the lactose in regular cows milk. Lactose is the naturally occurring sugar in milk that many cats and dogs cannot digest which consequently gives them stomach and digestive problems, in turn can lead to poor absorption of ingested nutrients. Pets Own Milk goes one step further for greater pet health. The Pets Own range of milks, are all natural and contain no artificial flavors, colors or preservatives, they are 100% lactose free and that's not all. Pets Own goes one step further by fortifying with a selection of vitamins and minerals, essential fatty acids, antioxidants and amino acids. 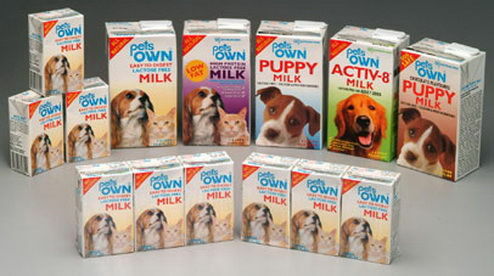 Packed under aseptic long life conditions in easy to use cartons, Pets Own milk is ready to use and comes in a range of life cycle formulations suitable for every pets needs. Its simple to use, store in the pantry and refrigerated after opening. The Pets Own range of milks are all lactose free. Lactose is the component in milk which many cats and dogs can not digest and which consequently give them stomach problems, which in turn can lead to poor absorbtion of ingested nutrients. Pets Own Milk goes one step further for greater pet health. Pets Own milk for Dogs and Cats is formulated to give a balance of energy and nutrition for active dogs and cats. The high linoleic acid content assists in the diet for promoting a healthy skin and shiny coat and is boosted with a range of amino acids including taurine for cats and methionine for dogs not found in canned or dry foods that contain only meat based proteins. Pets Own milk for Dogs and Cats is loaded with calcium in its most natural and absorbable form. Calcium is a mineral that all Dogs and Cats require in order to develop and maintain an adequate bone density, the correct calcium to phosphorus ratio must be maintained in the diet, which is why a natuaral source of calcium rather than calcium additives or supplements is most important. Pets Own Milk is a natural source of calcium and phosphorus and has an ideal ratio..
As with Pets Own milk, Pets Own Puppy Milk has been formulated with the specific needs of puppies of all sizes and breeds in mind. Containing higher levels of essential calcium, protein and other vitamins and minerals than Pets Own milk for Dogs and Cats, Puppy Milk is a nutritional food source suitable for new born and growing young puppies. 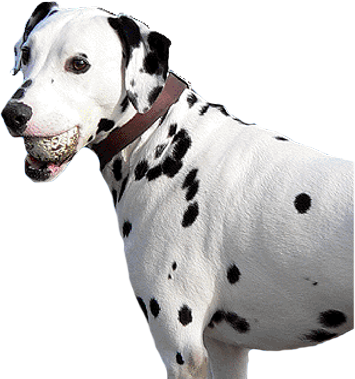 It is essential that as young dogs grow, they receive adequate calcium intake to build strong bones and assist in skeletal formation to support their weight and this is particularly important in larger breeds as they grow older. After approximately 12 months (it varies from breed to breed) Puppy Milk should be swapped in the diet to either Pets Own milk for Dogs and Cats or to Pets Own Activ-8. As with regular Puppy Milk that has been formulated with the specific needs of puppies of all sizes and breeds in mind, Chocolate Puppy Milk is a treat that all puppies will find irresistible. Dogs of all ages love the taste of chocolate and this product has been developed to be totally dog safe without the adverse effects associated with chocolate. Containing higher levels of essential calcium, protein and other vitamins and minerals, Chocolate Puppy Milk is a nutritional food source suitable for new born, growing young puppies and adult dogs that deserve a highly palatable treat. Pets Own Activ-8 Milk for adult dogs is formulated based on 8 Key steps to a healthy dog and contains 8 key nutrients that promote good health, well being and happy pet. It supports increased resistance to disease and ageing by promoting a peak immune system function, strong muscle development, healthy digestion and a lustrous shiny coat and healthy skin. Fortified with omega 6 fatty acids, antioxidants, methionine, calcium, protein, amino acids, vitamins and being 100% lactose free, Activ-8 is the perfect compliment to your dogs daily food intake. Pets Own Low Fat High Protein Milk is an all-natural low fat milk specially formulated to meet many of the nutritional requirements of older, over weight and less active dogs and cats. The low fat level content, combined with the high level of protein allows you to serve Pets Own Low Fat High Protein Milk as often as you like without the concerns of excess calorie intake in your pets diet. As your pet ages and becomes more sedentary, it is more beneficial that your pets daily energy levels are obtained from the higher protein content rather than from the fat. Protein also assists in repairing and rebuilding the degenerative effects of age and injury and the high calcium assists in helping to limit loss in bone density. The added antioxidants assist with minimizing damage to cell membranes by free radicals and slowing the ageing process.